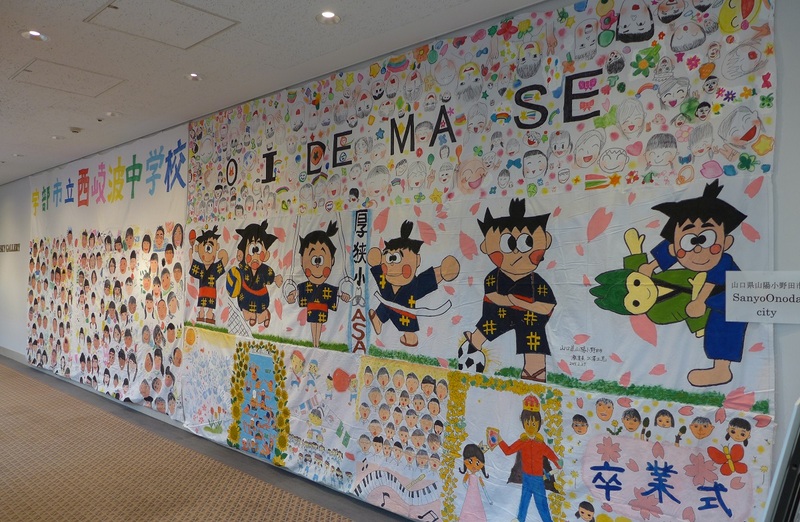 The Biggest Painting in the World 2020 Hofu was completed at Migita Junior High School, Kayo Junior High School, Kuwayama Junior High School, Kokufu Junior High School, and Saba Junior High School in Hofu City, Yamaguchi Prefecture. 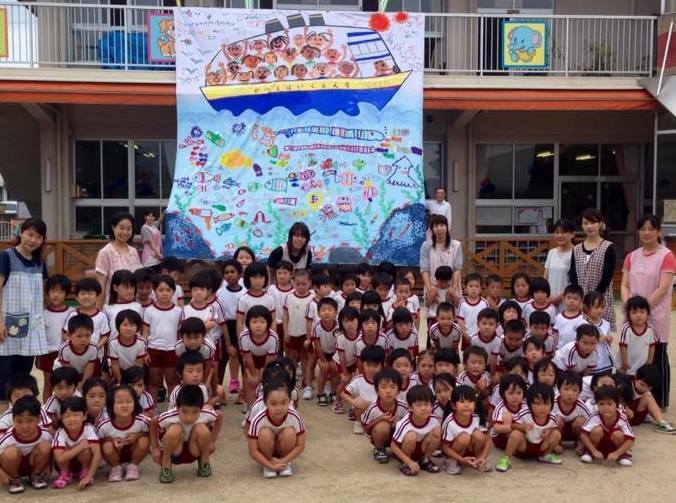 The Biggest Painting in the World 2020 was made in Katsuma nursery school of Hofu City, Yamaguchi. 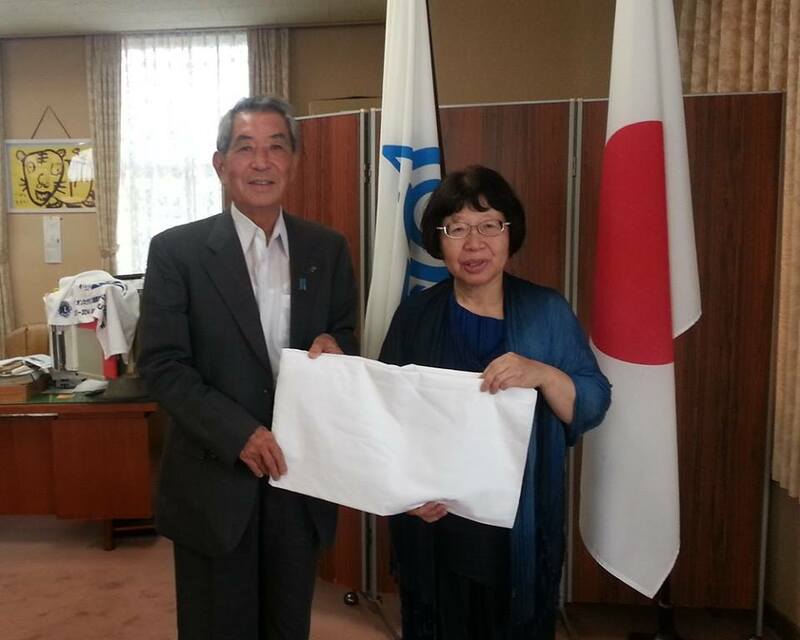 I paid a courtesy visit to the Mayor with Mr.Naganuma at Hofu city hall. 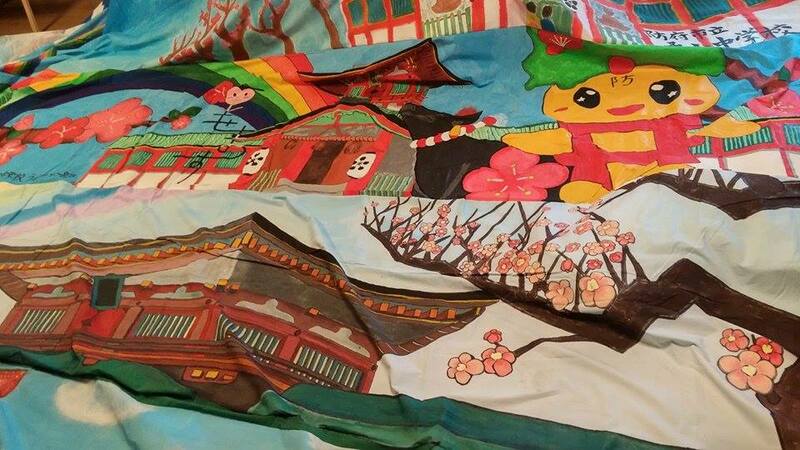 He expressed the participation of the Biggest Painting in the World 2020.